Bitcoin is the most awesome thing I have seen in a while. 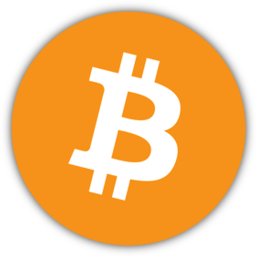 Bitcoin is a distributed online digital currency that is worth real money because we say it is worth something and is completely anonymous and very secure. Basically, a string of encrypted transactions is stored in what’s known as a block. These blocks are decrypted by multiple computers at the same time via brute force attack (trying to break the encryption at the same time) and when they succeed, they receive a gift from the network of 50 BTC (BTC is the symbol for Bitcoin). Now, if one computer broke the encryption alone, it would receive 50 BTC, but with pooled efforts (multiple people working on the problem at once), the problem is distributed to the pool and is distributed to the miners (the computers that broke the encryption) as the pool sees fit. Bitcoins are capped at 21,000,000 (So there will never be more than 21,000,000 Bitcoins in existence) and, as of today, the smallest dividend of a Bitcoin is 0.00000001 BTC. Another cool feature is that Bitcoin generation (through mining) is regulated; the network decreases the rate of Bitcoin creation by 1/2 every four years and every week, the network adjusts the difficulty of the mining for each pool as to prevent supercomputers from getting all the Bitcoins (if the NSA started Bitcoin mining, then not much would happen…thanks to this feature).